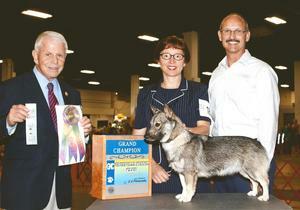 Amy finished her Grand Champion at 13 months 4 days old. She is a very special girl and we are so proud of her. After having such a successful show career, Amy is now training for obedience and agility and loving it. 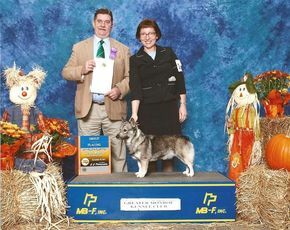 Amy earned 2 majors and 8 Champion points after only 2 weekends of showing! 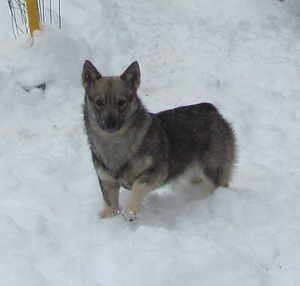 And she was just 6 months old! At 7 1/2 months she earned 2 more points and took a BOB over 2 specials. January 2011 snow storm. What fun! 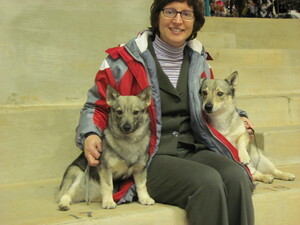 Relaxing with Tia and "mom" at her first show. 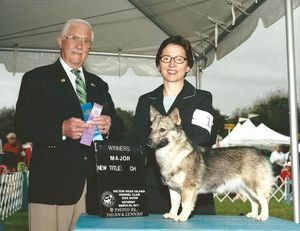 Amy finished her GCH at Greenville, SC on July 29, 2011. 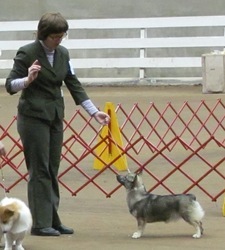 Amy at her first show and only 6 1/2 months old. What a little show girl! New Champion - Hilton Head, SC - 3-5-2011 Only 8 months and 8 days old! 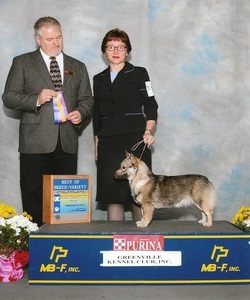 Amy also went BOS on 3-6-2011 for her first GCH major! BOB and a Group 4 the weekend of our 2011 National!